My husband and son built a whole ocean’s worth of creatures this past week including sharks, crabs, whales, turtles, and even an octopus. I figured since Shark Week is quickly approaching, I would share our LEGO sharks activity with you first! 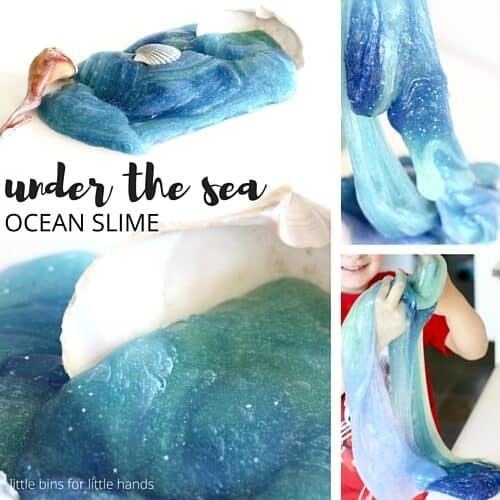 My son is really interested in learning more about sharks this year, so I am working on a few Shark Week activities I will share as quickly as possibly. Of course, we had to start by building LEGO sharks! Even if you don’t have any interest in the official Shark Week, these cool ocean fish, have always amazed adults and kids! They are truly amazing creatures having evolved and survived for millions of years, long before the dinosaurs in fact. The shark dinosaur has even been named Megalodon. Maybe you have heard of him? Well they must be pretty amazing as the dinosaurs are extinct but the sharks are thriving with more then too kinds! 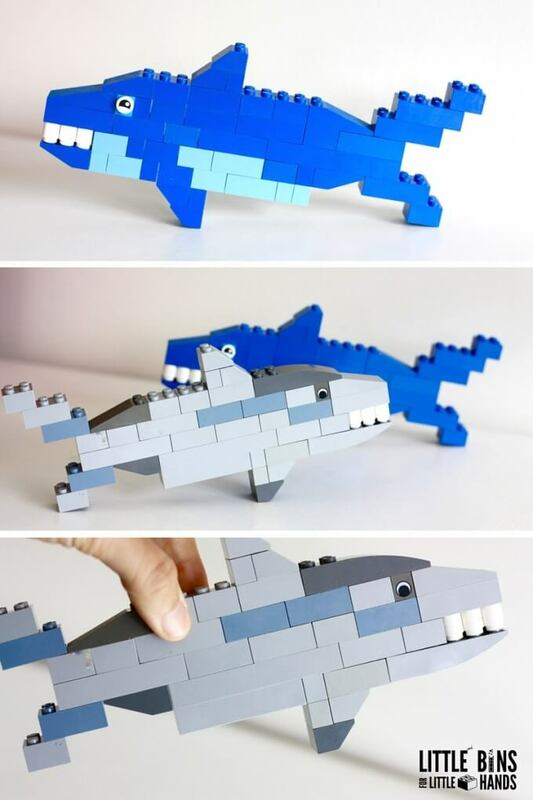 So lets build some LEGO sharks. I am not certain what type of shark we were aiming for here. We already have LEGO shark figures that came with our Deep Sea LEGO City set. but it’s always fun to try to come up with your own designs and ideas. This is super important for kids, read more about that here. Usually we try to do most of our building activities with the most basic of bricks like the 2×2 and the 2×4 size LEGO bricks, but this time we ventured into some of the slopes and even a few round 1×1 pieces for teeth. We had a few 1×1 pieces with eyes printed on them, but you can also use a dry erase marker and draw your own! 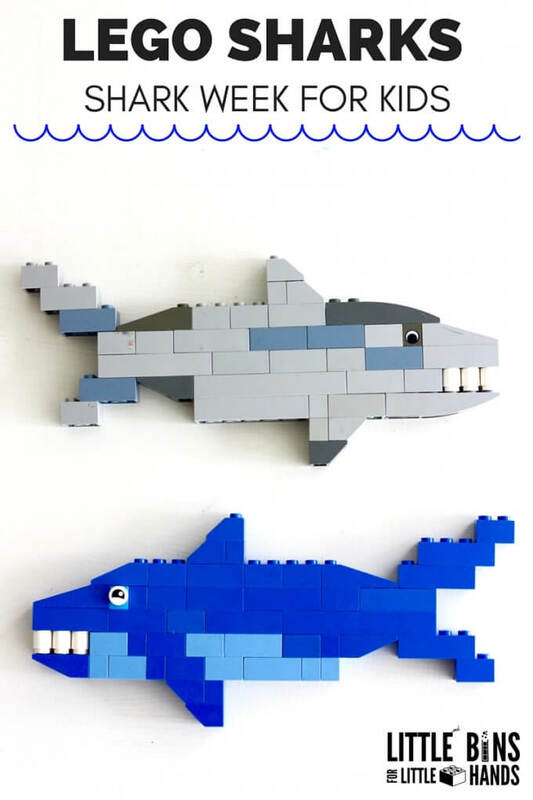 Take a look at our LEGO sharks to get some inspiration of your own. Or use the photos to make an exact copy. You should be able to count the brick pieces needed or configure your own pieces out of different combinations of the basic bricks. We used both the regular sloping and the reverse sloping pieces to smooth out the body but you really don’t need to do that to have fun building LEGO sharks. Plus, don’t worry if you don’t have enough of one color. Somewhere there might be a rainbow shark. Did you know that no two sharks look alike? 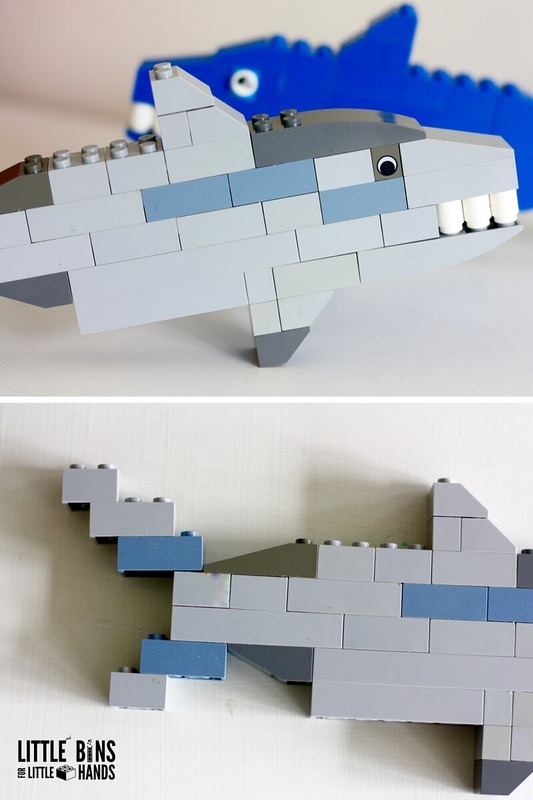 MAKE YOUR OWN LEGO SHARKS FOR SHARK WEEK! I love the sharks! And so will my little guy when I show him in the morning. 🙂 Thanks for the inspiration! Terrific! 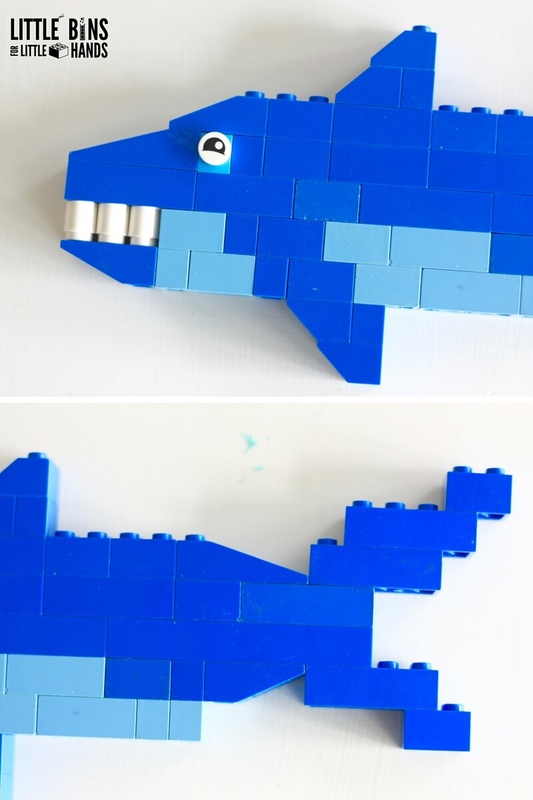 I am publishing a LEGO ocean animals one as I type. 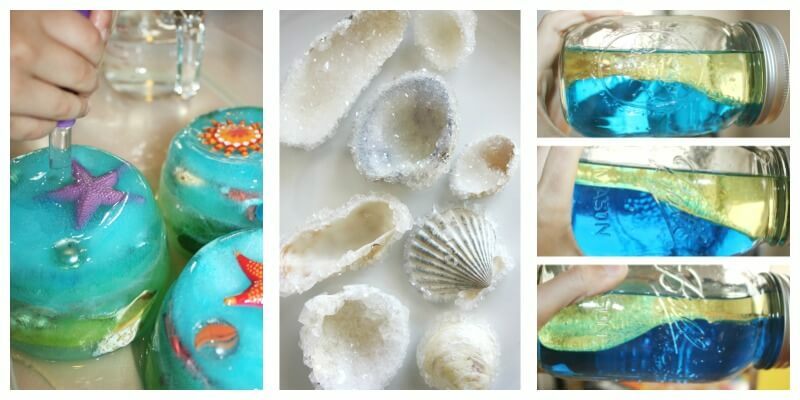 Whales, a crab, octopus, and even a narwhal! Great idea! We love sharks!